For President Obama’s 55th birthday on August 4th, Vice President Biden sent President Obama a very special birthday message. “Happy 55th, Barack!” Biden tweeted, along with a picture of matching “Joe” and “Barack” friendship bracelets. In case there were any lingering doubts, the Obama-Biden bromance is for real. In Washington, political frenemies are a dime a dozen. Of course, some politicians start as friends or friendly acquaintances before their relationship gradually devolves into frenemy territory. This was the case with Donald Trump and Hillary Clinton. 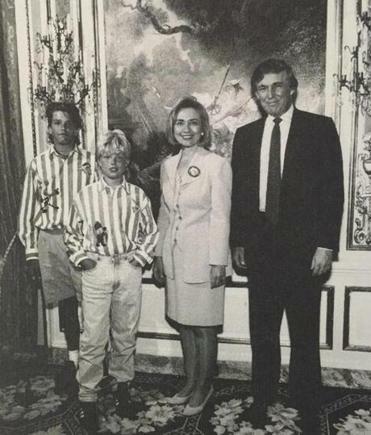 Before branding her “Crooked Hillary,” Donald Trump maintained a friendly relationship with Hillary and Bill Clinton. A series of documents made public by the William J. Clinton Presidential Library back in April paints a chummy portrait between Trump and the Clintons, and Clinton Foundation records indicate that since 2009, Trump and his daughter Ivanka have donated a combined total of over $105,000 to the Foundation. An examination of how and when Clinton and Trump crossed paths over the years is to see how New York’s elite social and political circles overlapped during the late 20th century. Based on information from public records and media accounts, I’ve documented the various interactions and exchanges these two presidential candidates and their families have shared. 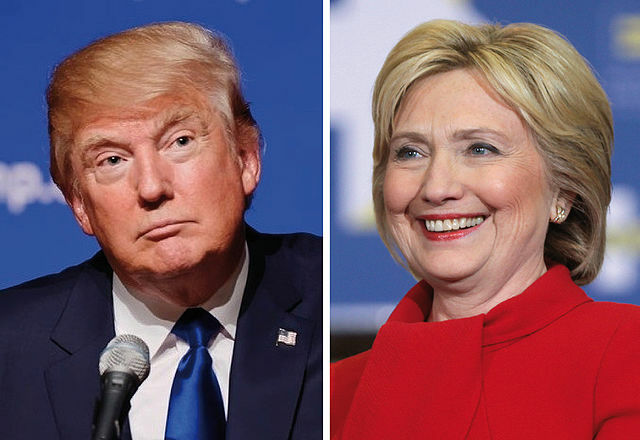 Once friendly acquaintances and political allies, Clinton and Trump are now political adversaries and presidential candidates. Here is an outline of what we know about Hillary Clinton and Donald Trump’s relationship. 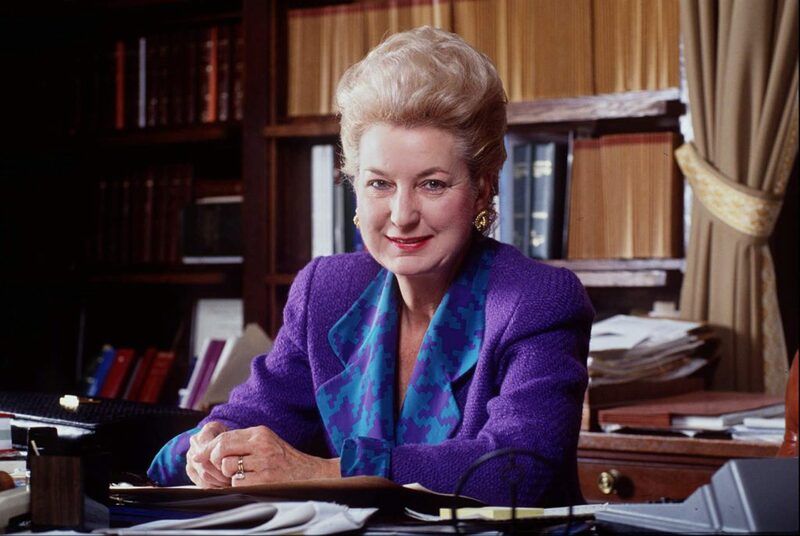 1999 – Bill Clinton appoints Maryanne Trump Barry (Trump’s sister) to be a judge on the United States Court of Appeals for the Third Circuit. The appointment is to replace Judge H. Lee Sarokin, who had retired in 1996. 2000 – Jared Kushner (Donald’s son-in-law; Ivanka’s husband) contributes $1,000 to the Hillary Rodham Clinton for US Senate campaign. 2005 – The Trump Organization contributes $1,000 to Friends of Hillary; Donald Trump donates $2,900 to Hillary Clinton’s re-election campaign for US Senate. 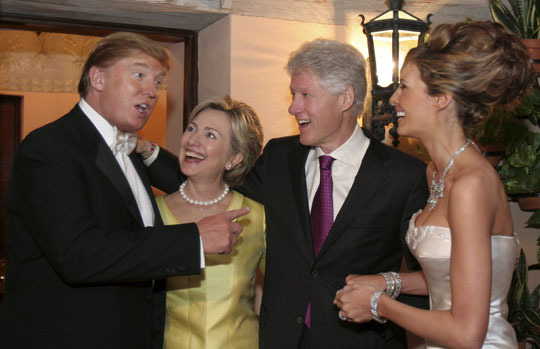 2005 – Bill and Hillary Clinton attend Donald Trump and Melania Knauss’ wedding. The Clintons at Donald and Melania’s wedding on January 22, 2005. 2006 – Donald Trump contributes $1,000 to Hillary Clinton’s re-election campaign for US Senate and $200 to Friends of Hillary; Trump Enterprises contributes $2,100 to Friends of Hillary. 2006 – Ivanka Trump contributes $2,300 to Hillary Clinton for President campaign fund. 2007 – Trump Enterprises contributes $4,000 to Hillary Clinton for President campaign fund; Donald Trump donates $1,000 to Hillary Clinton’s re-election campaign for US Senate. 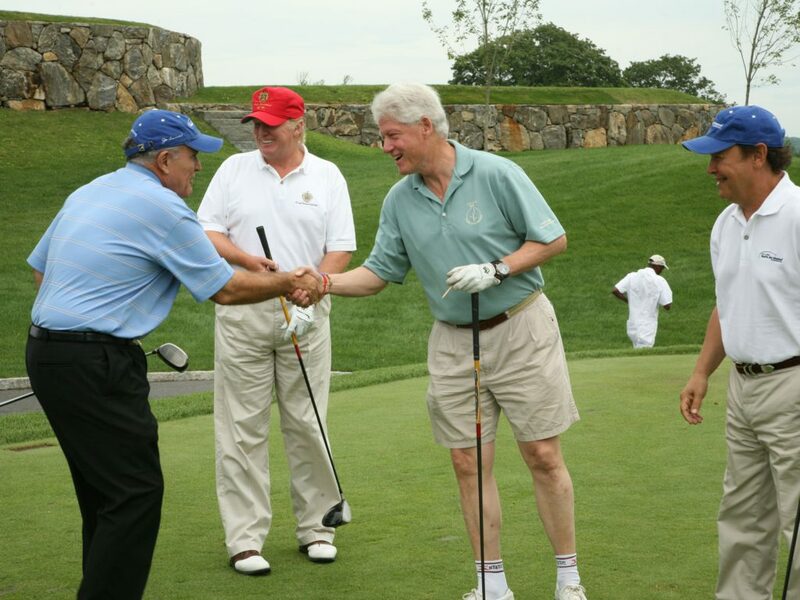 2008 – Bill Clinton and Donald Trump golf together at Joe Torre’s charity event, the Safe at Home Foundation Golf Classic at Trump National Golf Club in Briarcliff Manor, New York. 2008 – Chelsea Clinton and Jared Kushner attend the annual New York Gala for American Friends of the Israel Philharmonic Orchestra (Kushner is a co-chair of the organization). 2010 – Trump’s foundation, a registered 501(c) group, gave another $10,000 to the Clinton Foundation. 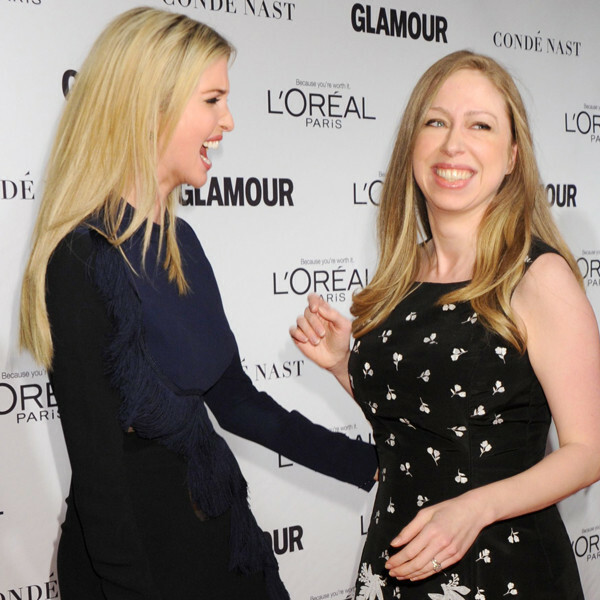 2015 – Chelsea Clinton praises her friend Ivanka Trump in a feature interview for Vogue.